True Freedom lies in the freedom of thought. 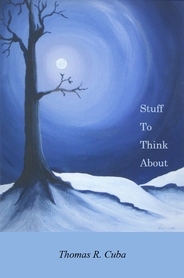 Stuff to Think About is a collection of essays, most of which were written prior to 2010 - the year that Tom ran unsuccessfully for a seat in the Florida House of Representatives. As the fates would have it, the loss was the right future for Tom. His non-partisan approach to issues cost him the seat, but served to maintain his integrity.